over 11 years. Its advanced technology was ahead of its birth. precise power output control, Powerful modeling lamp up to 1,000W. and ‘Apple’ application of Smart phones. Wireless trigger & controller and USB controller. 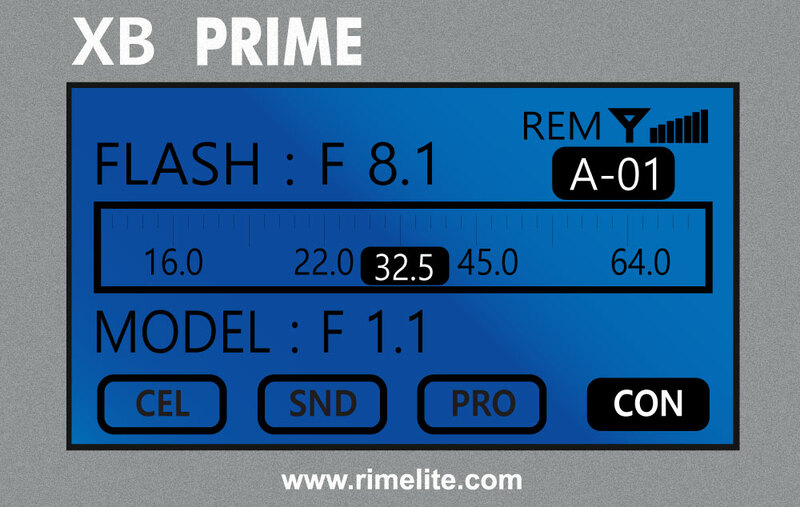 XB PRIME can be controlled by a remote control with 2.4 GHz frequency. After holding a remote control, anyone can control STROBE by channel, group, resource of light, and function buttons. 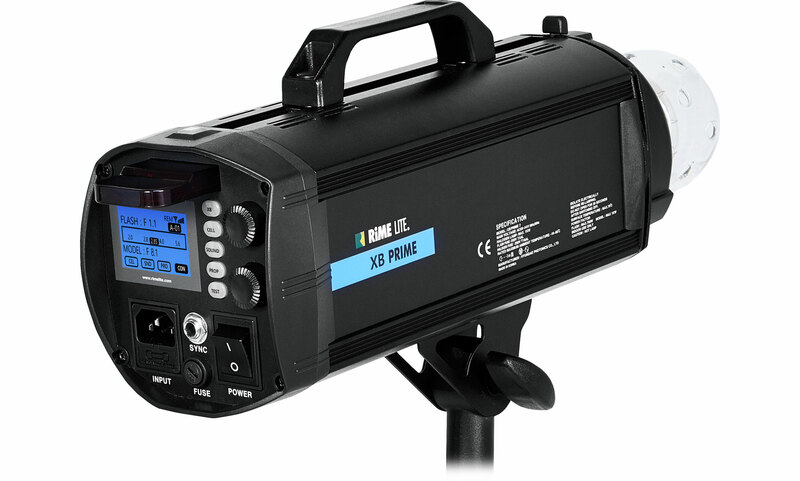 The new technology of XB Prime will lead studio people to new photography world. All device of XB PRIME can receive and transmit by wireless 2.4 GHz frequency. You can control exactly remote control, PC, camera hotshoe, STROBE receiver etc. 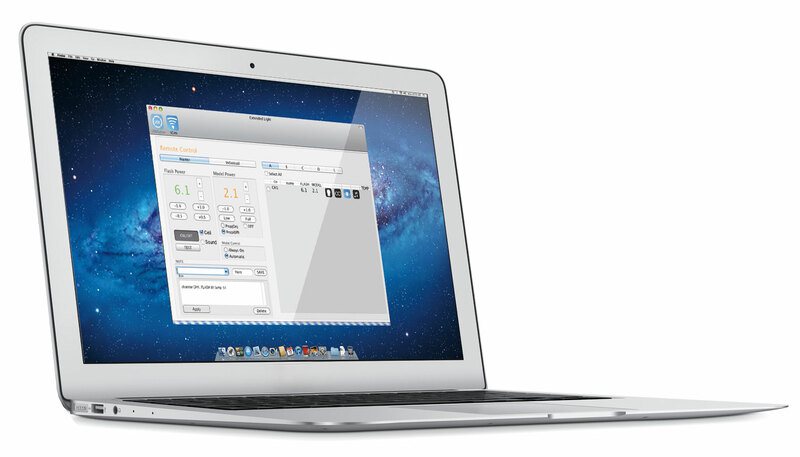 with ‘Dual Digital Encoder’ technology, offers the fine-tuning easily and rapidly. (on the XB-PRIME Body and XB-transmitter) having the same Group. 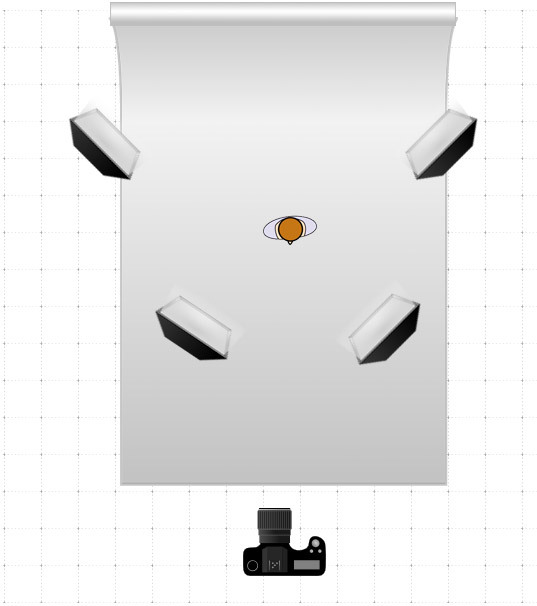 First shot and the Second shot on the Camera, Strobes will have a Sequential flashing following the set order of Group Channel. Unlike irregular particles of STROBE LCD panel, the blue panel of XB PRIME displays smaller particle. Inner particles are getting smaller, then equal. It makes inner light come out in minute detail. This decreases light reflection and produces a sharper image. 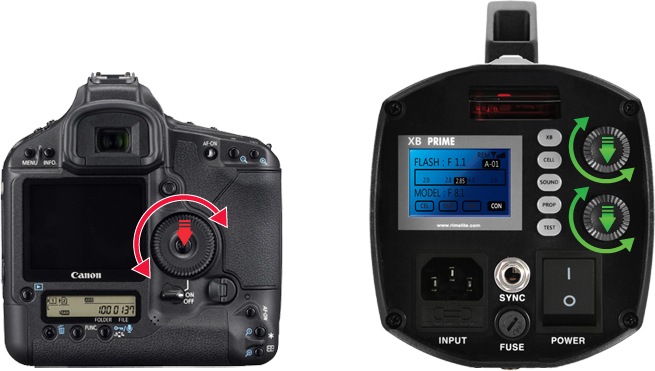 XB PRIME, which is developed for customers, is possible to control 7.0 f-stop exposure which reaches 7.0 steps. 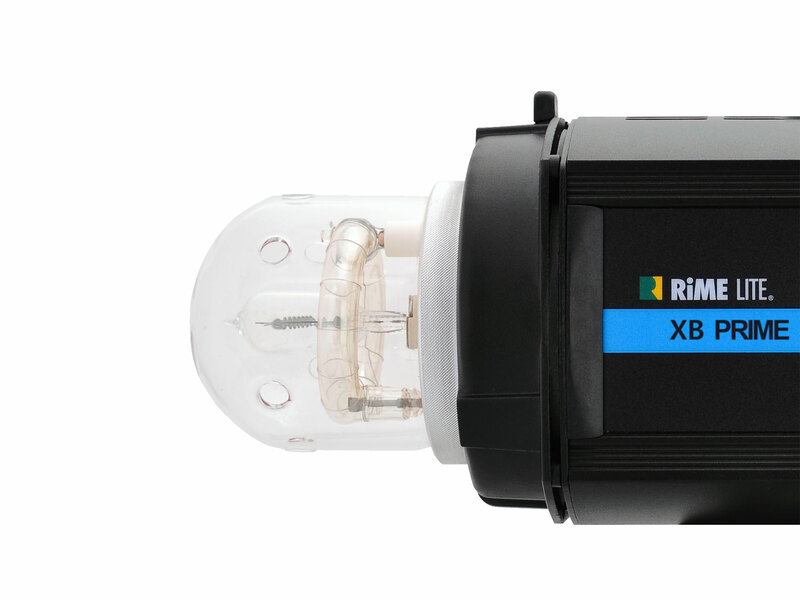 XB PRIME provides Prop Mode and Continuous functions using maximum 1kw halogen lamp to use continuous light. XB PRIME is equipped with sensor that measures temperature in real time. 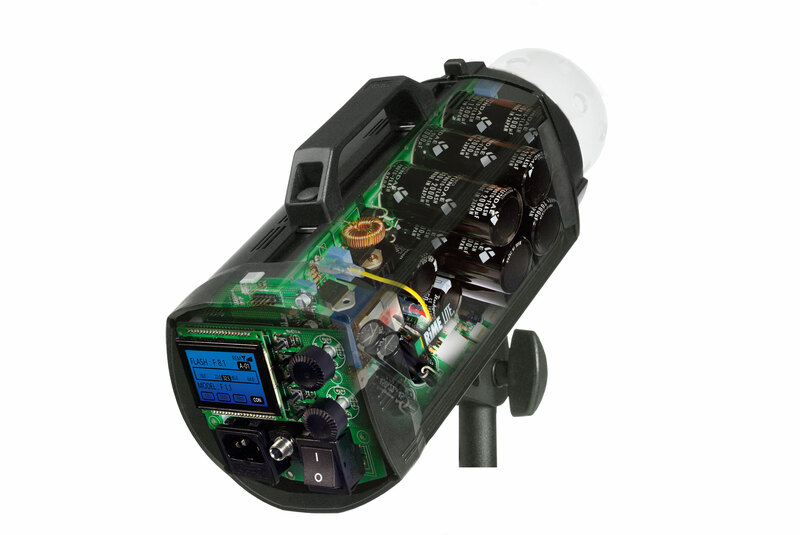 In addition, internal temperature of the STROBE is displayed through an LCD display. You can control firing term of frozen action photographing with this function. Protecting Glass built in STROBE prevents users more than flashtube and halogen lamp. Protecting glass used for XB PRIME is upgraded. The role of modeling light is just to make subjects bright, so it is beyond its role to adjust the focus. 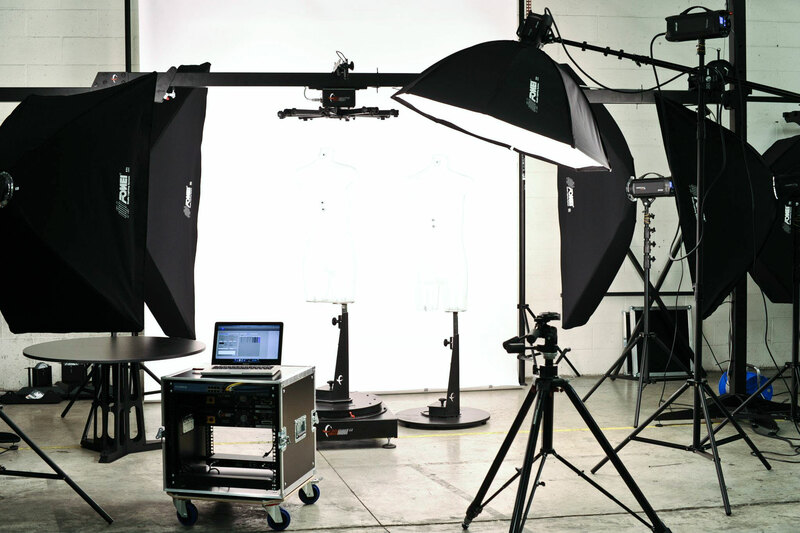 Modeling light is being used widely for aperture open photograph and XB PRIME can be used for frozen action photograph as well as continuous photograph by STROBE by equipping maximum 1Kw modeling lamp.